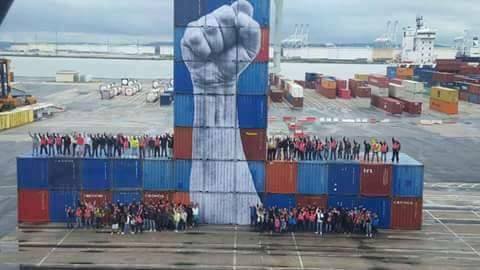 When I first met the dockers of Le Havre, it was for the Women Are Heroes project and they helped me post huge eyes on containers, then we did an action with ballet dancers. We got to know each other better. 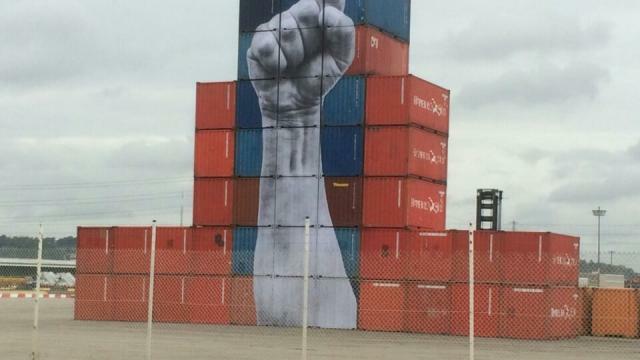 They became part of of the team and in NYC, in Istanbul and others cities there were dockers pasting on the walls by my side. Unsurprisingly, when I introduced them to Agnes Varda, it was love at first sight… Today, we did something together. 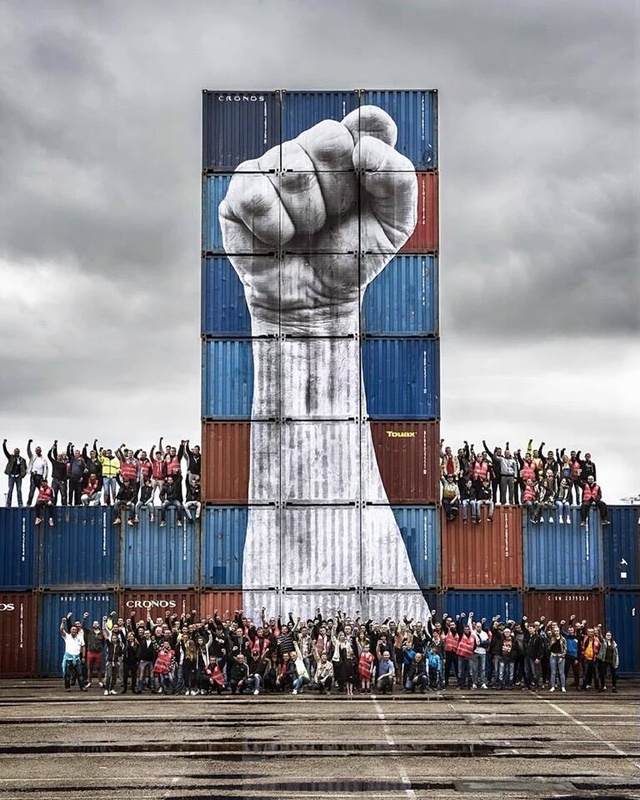 This arm is the symbol of the strength of these people who help to unload everything we use in our daily lives, and to ship everything we manufacture, these people living at the junction of land and sea.